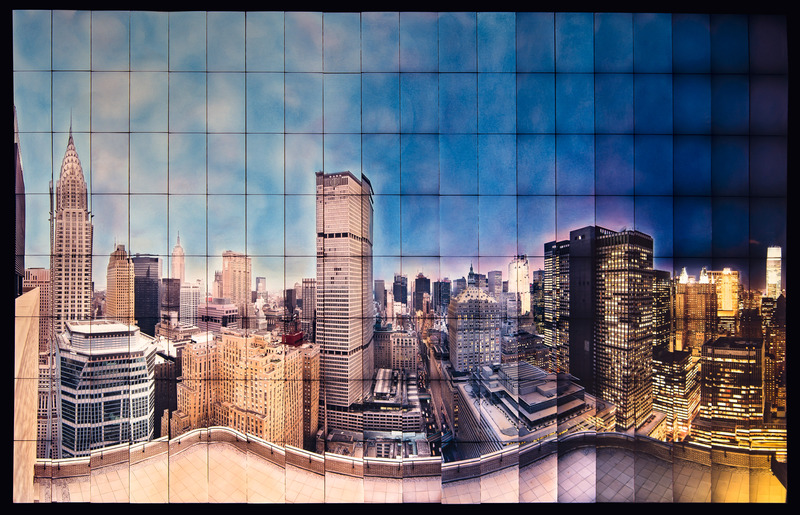 MIDTOWN DAY-TO-NIGHT 1990 is a composite panoramic analog photo collage, printed as a contact sheet from color negatives onto chromogenic paper. It was photographed over time to show a transition from daylight to night. In addition, the print is manually hand colored. It was part of a series created for Guest Informant hotel guides in 1990.